For other uses, see Institutionalization (disambiguation). Institutionalisation (or institutionalization) refers to the process of embedding some conception (for example a belief, norm, social role, particular value or mode of behavior) within an organization, social system, or society as a whole. The term may also be used to refer to committing a particular individual or group to an institution, such as a mental or welfare institution. The term may also be used in a political sense to apply to the creation or organisation of governmental institutions or particular bodies responsible for overseeing or implementing policy, for example in welfare or development. During the period of the industrial revolution in Europe many countries went through a period of "institutionalization", which saw a large expansion and development of the role of government within society, particularly into areas seen previously as the private sphere. Institutionalization is also seen as being an important part of process of modernization in developing countries, involving again the expansion and improved organisation of government structures. During the period from 1850 to 1930 many types of institutions were created by public subscription, Parliament and local authorities to provide housing, healthcare, education, and financial support for individuals in need. At the upper end of the scale, public boarding schools such as Eton and Harrow were founded or greatly extended to meet the growing demand for the education of the children of those in colonial service overseas. These were seen as models of social improvement, and many inferior imitations followed for the lower social orders. Virtually every borough in the UK was required by legislation to make provision for paupers, homeless, released prisoners, convicted criminals, orphans, disabled war veterans, older people with no means of support, deaf and blind schools, schools and colonies for those with learning disabilities or mental health problems. boards of visitors or trustees, usually drawn from the ranks of the upper middle classes, the so-called "great and good"
Many of these organisations, whilst originally expressing idealistic aspirations and aims, became "total" institutions within a generation or two of their foundation, providing in some cases cradle to grave housing, occupation and social control. Founding charters usually proclaimed beneficial outcomes of "reform" (or rehabilitation) of character through moral and occupation education and discipline, but in practice inmates were often trapped in a system that provided no obvious route of escape or promotion. As late as the 1950s, in Britain, several hundred thousand people lived in Victorian asylums and "colonies". Jean-Jacques Rousseau wrote in his opus The Social Contract that "Slaves lose everything in their chains, even the desire of escaping from them: they love their servitude". Institutionalization is a similar process. The modern era of institutionalized provision for the care of the mentally ill began in the early 19th century with a large state-led effort. Public mental asylums were established in Britain after the passing of the 1808 County Asylums Act. This empowered magistrates to build rate-supported asylums in every county to house the many 'pauper lunatics'. Nine counties first applied, and the first public asylum opened in 1812 in Nottinghamshire. Parliamentary Committees were established to investigate abuses at private madhouses like Bethlem Hospital - its officers were eventually dismissed and national attention was focused on the routine use of bars, chains and handcuffs and the filthy conditions the inmates lived in. However, it was not until 1828 that the newly appointed Commissioners in Lunacy were empowered to license and supervise private asylums. The Lunacy Act 1845 was an important landmark in the treatment of the mentally ill, as it explicitly changed the status of mentally ill people to patients who required treatment. 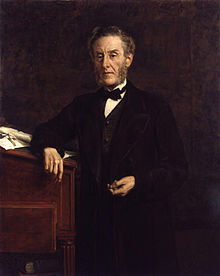 The Act created the Lunacy Commission, headed by Lord Shaftesbury, to focus on lunacy legislation reform. The Commission was made up of eleven Metropolitan Commissioners who were required to carry out the provisions of the Act;[full citation needed] the compulsory construction of asylums in every county, with regular inspections on behalf of the Home Secretary. All asylums were required to have written regulations and to have a resident qualified physician. A national body for asylum superintendents - the Medico-Psychological Association - was established in 1866 under the Presidency of William A. F. Browne, although the body appeared in an earlier form in 1841. In 1838, France enacted a law to regulate both the admissions into asylums and asylum services across the country. Édouard Séguin developed a systematic approach for training individuals with mental deficiencies, and, in 1839, he opened the first school for the intellectually disabled. His method of treatment was based on the idea that the intellectually disabled did not suffer from disease. At the turn of the century, England and France combined had only a few hundred individuals in asylums. By the late 1890s and early 1900s, this number had risen to the hundreds of thousands. However, the idea that mental illness could be ameliorated through institutionalization was soon disappointed. Psychiatrists were pressured by an ever-increasing patient population. The average number of patients in asylums kept on growing. Asylums were quickly becoming almost indistinguishable from custodial institutions, and the reputation of psychiatry in the medical world had hit an extreme low. In the United States and most other developed societies, severe restrictions have been placed on the circumstances under which a person may be committed or treated against their will as such actions have been ruled by the United States Supreme Court and other national legislative bodies as a violation of civil rights and/or human rights (see e.g. O'Connor v. Donaldson). Thus a person is rarely committed against their will and it is illegal for a person to be committed for an indefinite period of time. The dangers of institutions were chronicled and criticized by reformers almost since their foundation. Charles Dickens was an outspoken and high-profile early critic, and several of his novels, in particular Oliver Twist and Hard Times demonstrate his insight into the damage that institutions can do to human beings. "There they stand, isolated, majestic, imperious, brooded over by the gigantic water-tower and chimney combined, rising unmistakable and daunting out of the countryside - the asylums which our forefathers built with such immense solidity to express the notions of their day. Do not for a moment underestimate their powers of resistance to our assault. Let me describe some of the defenses which we have to storm." Scandal after scandal followed, with many high-profile public inquiries. These involved the exposure of abuses such as unscientific surgical techniques such as lobotomy and the widespread neglect and abuse of vulnerable patients in the USA and Europe. The growing anti-psychiatry movement in the 1960s and 1970s led in Italy to the first successful legislative challenge to the authority of the mental institutions, culminating in their closure. During the 1970s and 1990s the hospital population started to fall rapidly, mainly because of the deaths of long-term inmates. Significant efforts were made to re-house large numbers of former residents in a variety of suitable or otherwise alternative accommodation. The first 1,000+ bed hospital to close was Darenth Park Hospital in Kent, swiftly followed by many more across the UK. The haste of these closures, driven by the Conservative governments led by Margaret Thatcher and John Major, led to considerable criticism in the press, as some individuals slipped through the net into homelessness or were discharged to poor quality private sector mini-institutions. ^ King, D. Brett; Viney, Wayne; Woody, William Douglas (2007). A History of Psychology: Ideas and Context (4 ed.). Allyn & Bacon. p. 214. ISBN 9780205512133. ^ "O'Connor v. Donaldson, 422 U.S. 563 (1975)". Retrieved 2007-10-02. ^ "Enoch Powell's Water Tower Speech 1961". studymore.org.uk. ^ "Official Inquiry Reports into National Health Service Mental Hospitals". Socialist Health Association. Retrieved 21 December 2013.